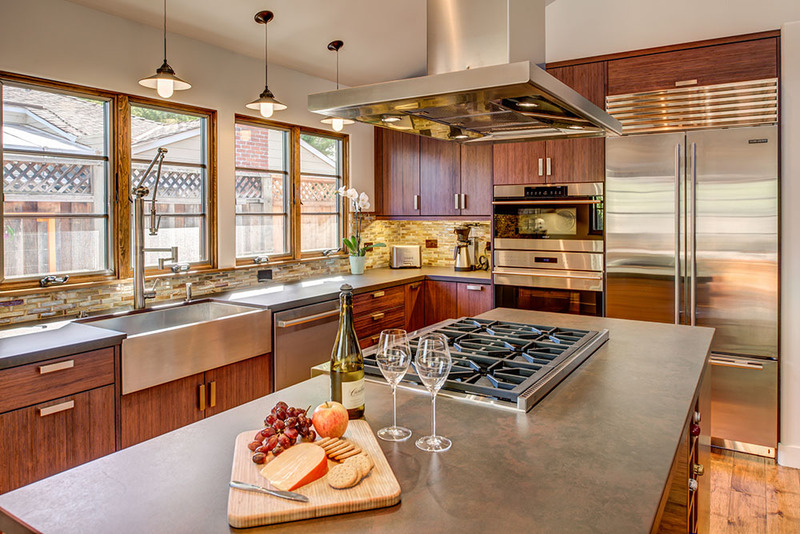 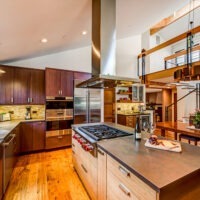 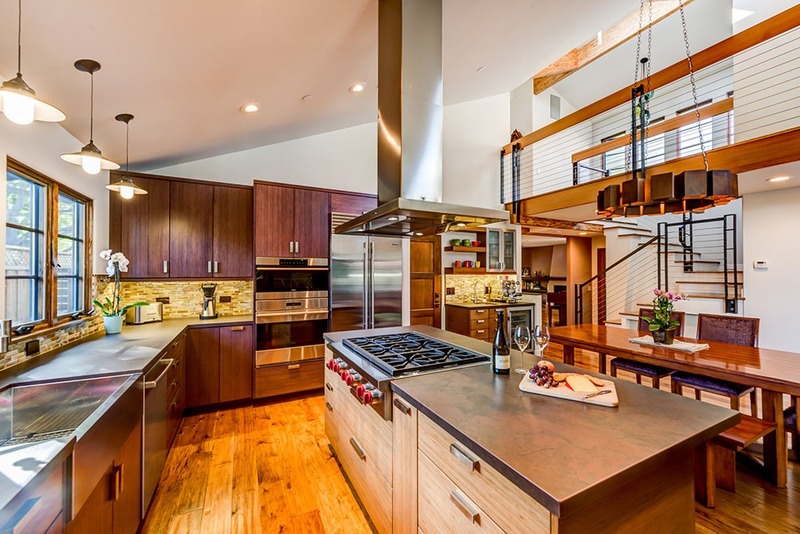 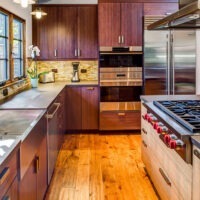 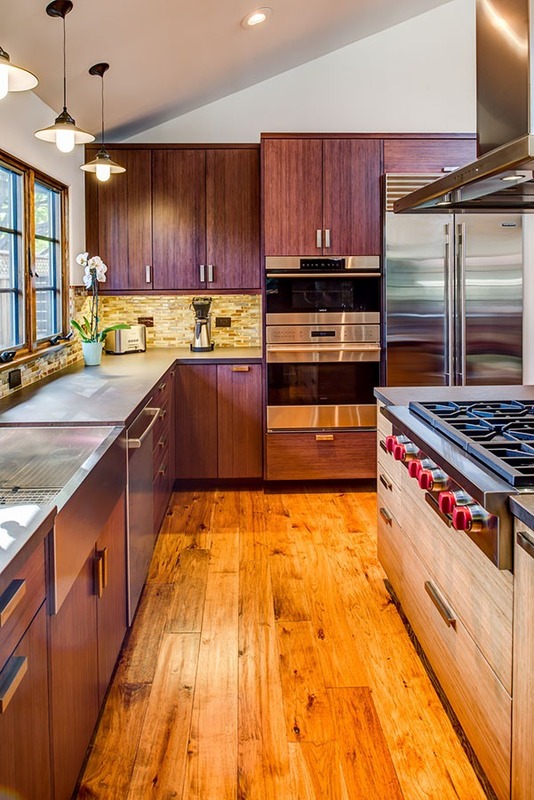 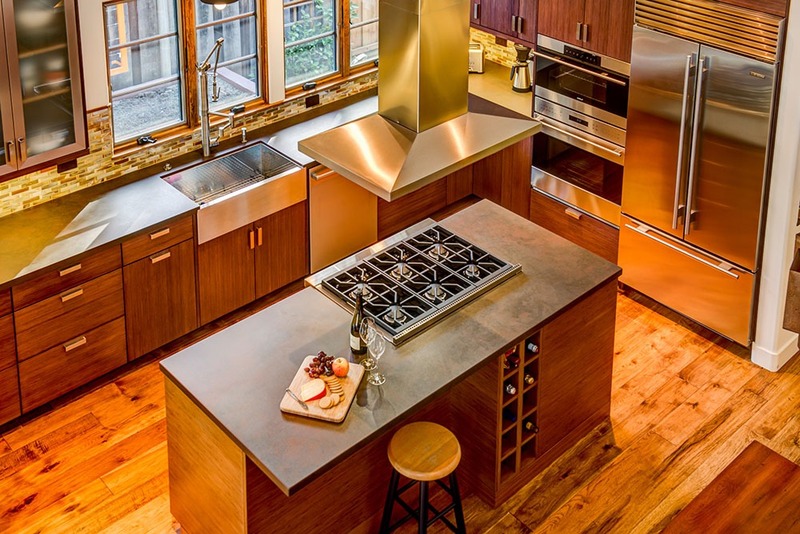 This Palo Alto remodel features sustainable bamboo cabinets and an open floor plan. 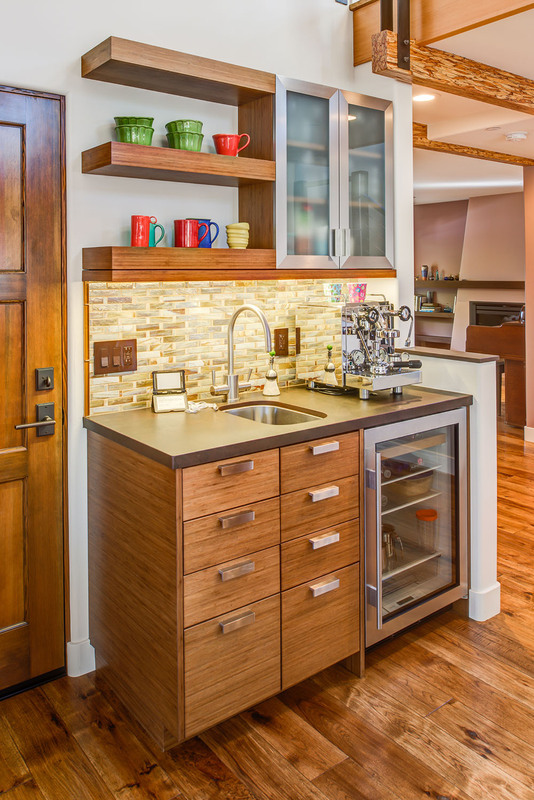 The original kitchen in the 2 bedroom ranch home was small and unconducive, leaving little room for function or visual appeal. 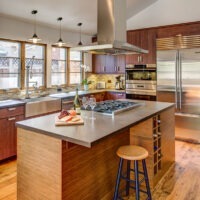 It was important for the homeowners to use “green” and sustainable materials and to open up the home to be able to entertain family and friends. 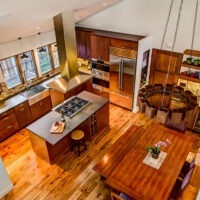 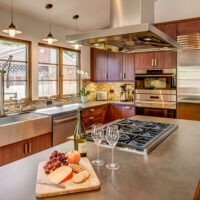 The design features different zones, such as the cooking zone on the island, the prep zone on the perimeter, the wet bar and dining table for entertainment. 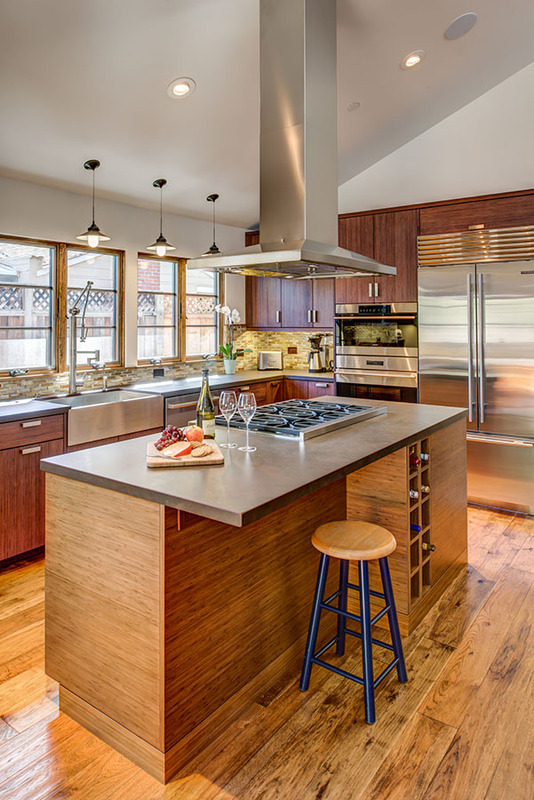 Stained bamboo cabinets, a frosted glass cabinet and floating shelves above the wet bar, wine storage on the island and a sustainable countertop surface create distinct characteristics in this kitchen. 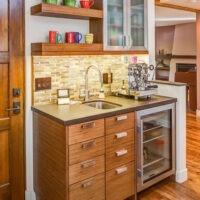 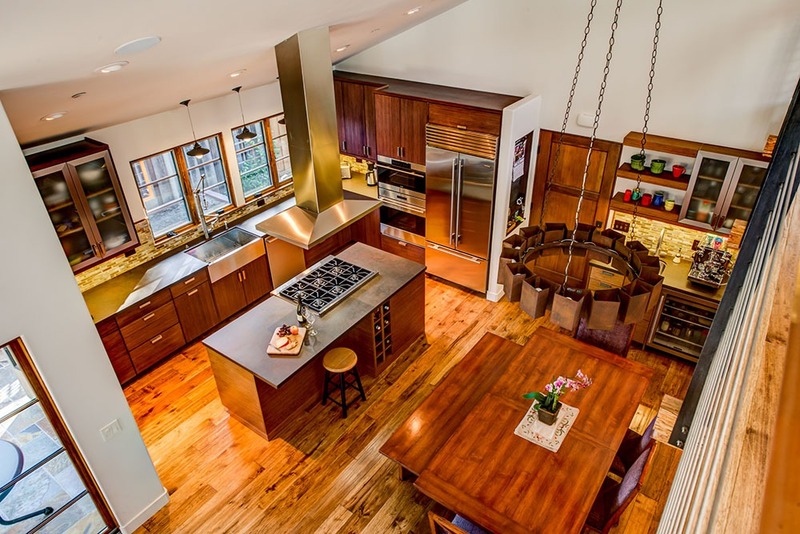 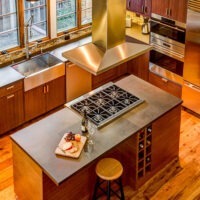 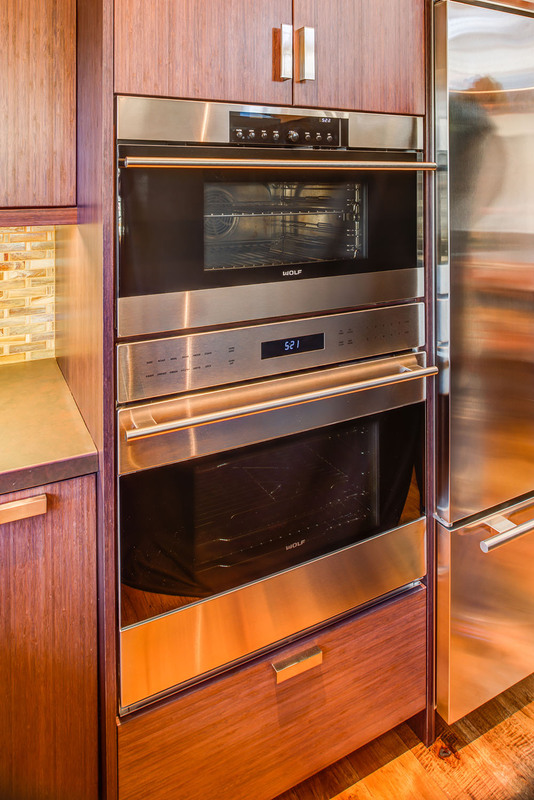 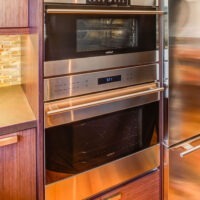 Learn more about our custom kitchen cabinets today!